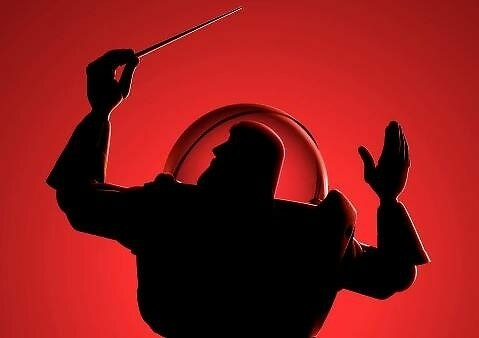 We're Giving Away Tickets To "Pixar In Concert" At The Hollywood Bowl! We think we might have a problem. You see, we're just straight-up addicted to giving away prizes, jewelery, concert tickets, whatever we can get our hands on that will make your summer that much more awesome. Think of us like your over-generous grandparents, except with a way better sense of what you actually like. Today, we're pulling out all the stops to give away two great seats to Pixar In Concert at the Hollywood Bowl this coming Friday, August 3. Don't delay, we're drawing our winner TODAY! No matter how old you are, the odds are that there's at least one Pixar movie that holds importance to your life. Toy Story. Wall-E. The Incredibles. Finding Nemo. These aren't just children's movies, they're classic films that are by now indelibly etched on the minds of moviegoers worldwide. Now, for the first time ever, the Hollywood Bowl is bringing those memories back to life with "Pixar In Concert," a multimedia extravaganza featuring a live performance by the Hollywood Bowl Orchestra of the most memorable moments from the musical scores of Pixar classics, set to visually stunning clips from those films. Yes, it's a little bit of a different Friday night from, say, Smoke & Mirrors, but that's what makes it a perfect date night, family bonding trip, or just a great way to enjoy one of the most naturally beautiful venues in all of Southern California. And while we're not allowed to tell you exactly where these tickets are until you win, let's just say they're definitely not nosebleeds. So, how do you win? Well, since we're drawing the winner at noon (12 pm) PST TODAY, we're again keeping this one very simple. Follow us on Twitter if you don't already, and then tweet @GofGLA with your favorite Pixar character to be entered to win. That's it. Easy, right? Now get to it, people, and we'll see you at the Bowl! Oh, and if you're not feeling too lucky but still want to get in on the fun, there are still limited tickets available right here.